Tyres are one of the most important parts on your vehicle as it is what connects your vehicle to the road. 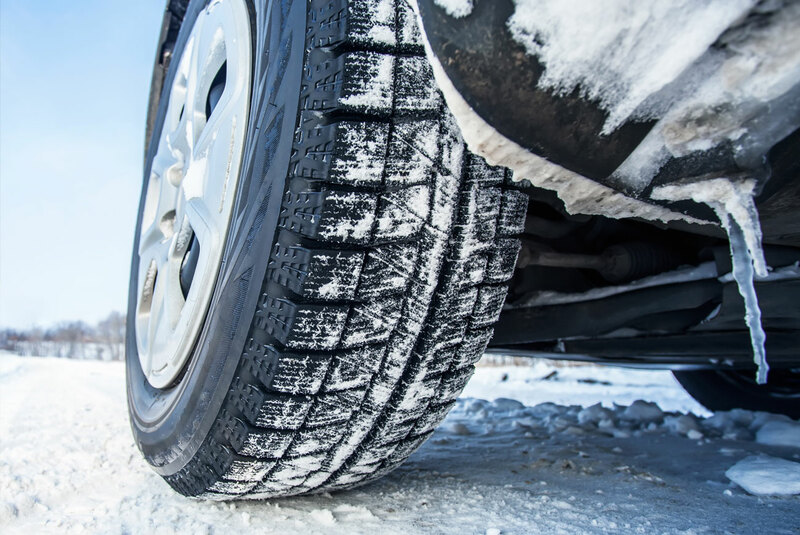 We offer a wide range of tyres including winter tyres, all seasons and off road. Recommended replacement of road tyres is between 2-3mm although the legal limit is 1.6mm, stopping distances and handling of your vehicle are affected once your tyres get two low on tread especially in adverse conditions Please stop in for free tyre check or call us on 01962 736186. 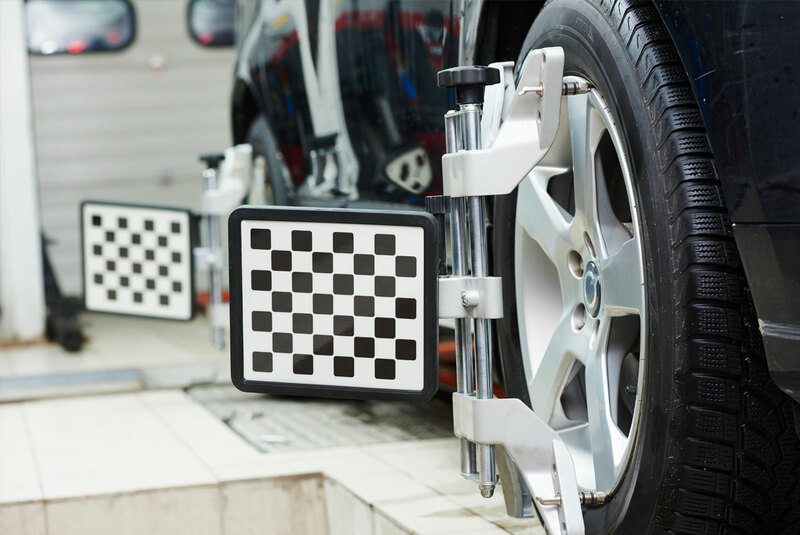 Wheel alignment, or tracking, is the process of ensuring your vehicle’s wheels are set to the optimum position, as per the car manufacturer’s specifications. 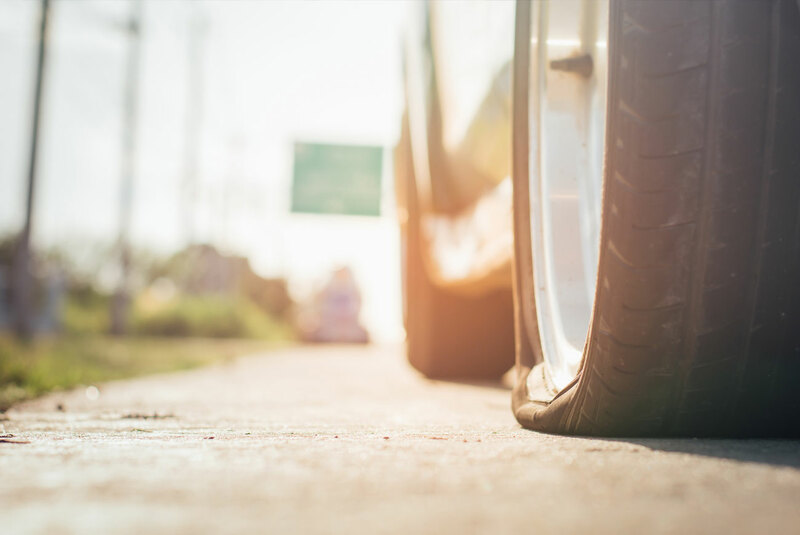 Incorrect alignment can result in rapid irregular tyre wear and can even affect the handling and safety of the vehicle.Wheel alignment problems can be caused by hitting a kerb, driving into a pothole in the road or by excessive wear to steering or suspension components. It is important to get your wheel alignment checked annually to ensure you get the most out of your tyres. 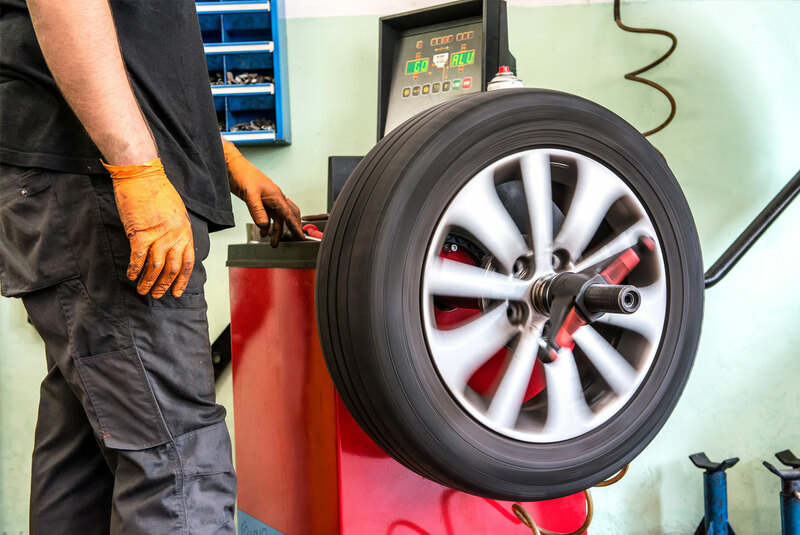 Checking your wheel alignment on your car or van regularly can prolong the life of your tyres by up to 12,000 miles and increase fuel efficiency due to the reduced rolling resistance with the road – saving you pounds at the pump. Using Laser Technology we can help check and reset your vehicles tracking. We at Wilcan are able to help with all types of puncture, some are repairable dependant on it’s location and form of puncture, some will require the replacement of the tyre. If you are having to put air in a tyre regulary or just not sure we can check this for you as in some cases the cause is not the tyre itself or a puncture and can be the seal or valve. Wheel balancing and alignment is very important and will prolong the life of your tyres and help with them not wearing unevenly. Alignment can be knocked out by hitting bad potholes or kerbs. It is recommended to have this done on a regular basis. There are many types of tyres out there now and we can advise you of which are best suited for your needs, there are tyres pacifically designed for winter or you can have a tyre designed for all seasons. We can swap your summer tyres for your winter tyres if required. We at Wilcan are able to help with light refurbishment like a scratch or repairs to dents or cracks (subject to the severity), we are seeing the requirement for this service with the state of our roads having more potholes and bumps which are unavoidable most of the time. 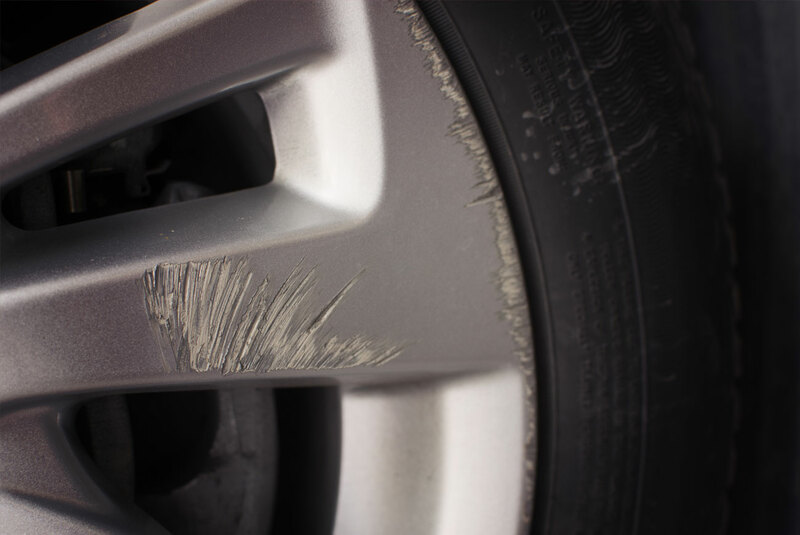 A damaged alloy can be unsafe to keep driving on. If you have any damage and require advice on your options please contact us.